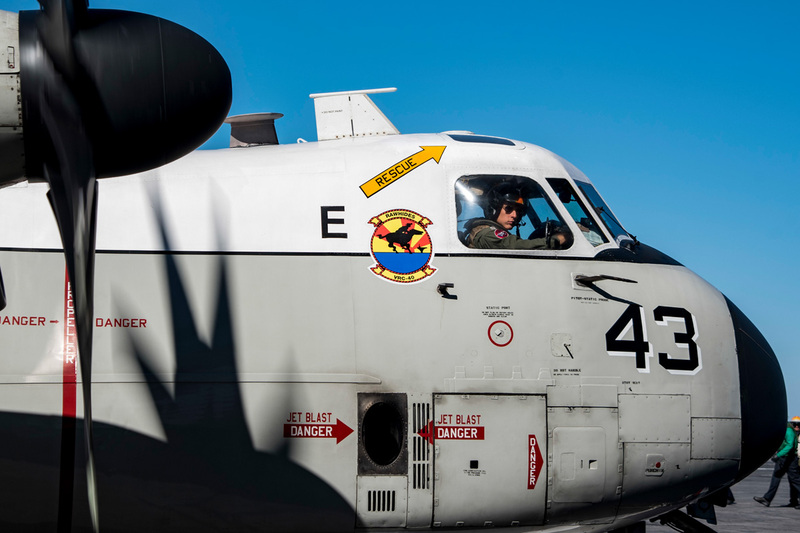 Forward deployed in MCAS Iwakuni Japan, the “Providers” of Fleet Logistics Support Squadron Three Zero, Detachment Five are the long-range critical logistics support element to the Ronald Reagan Carrier Strike Group. Detachment Five’s mission includes the transport of high-priority cargo, mail, duty passengers and Distinguished Visitors between the USS Ronald Reagan (CVN 76) and shore bases throughout the Western Pacific and Southeast Asia theaters. 2010 USS GEORGE WASHINGTON (CVN-73) (20) LCDR Gregory Jonic (OIC), LT James Hawke, LT Adam Heil, LT Matthew Ostrye, LT Ronnie Stahl Jr.
2011 USS GEORGE WASHINGTON (CVN-73) (22) / (30) LCDR Gregory Jonic (OIC), LCDR Adam Heil, LT William Callaham, LT Brett Cameron, LT James Hawke, LT Matthew Ostry, LT Ronnie Stahl Jr.
Fleet Logistics Support Squadron Three Zero Detachment Five (VRC-30 Det 5) traces its ancestry back to Air Transport Squadron Five (VR-5), which was commissioned on 24 June 1943 at Naval Air Station (NAS) Sand Point, Seattle, Washington. 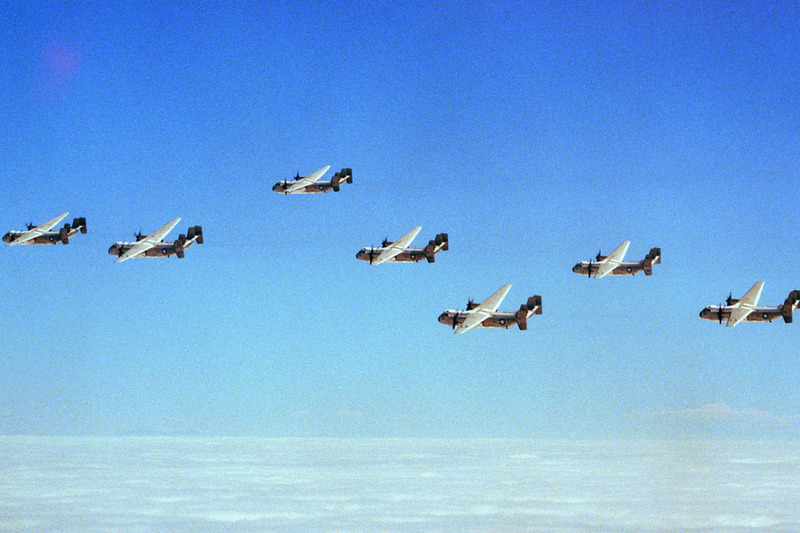 This squadron flew Douglas R4D Skytrain, Douglas R5D Skymaster, Beechcraft SNB Expeditor, and Noorduyn JA-1 Norseman aircraft in regular air service from Seattle to Oakland, San Francisco, the Aleutian Islands, and Fairbanks and Point Barrow on the Alaskan mainland. 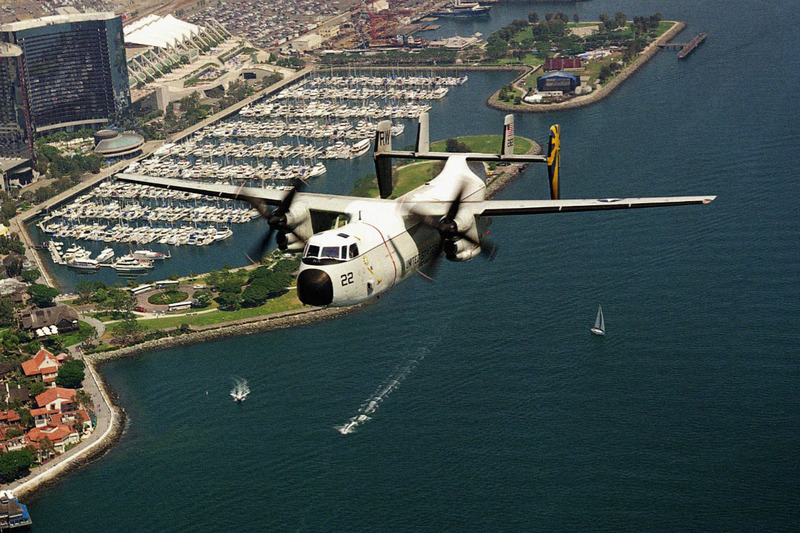 In 1950, a VR-5 detachment was established at NAS North Island in San Diego, California. VR-5 was decommissioned 15 July 1957 and replaced by Fleet Tactical Support Squadron Twenty One (VR-21). 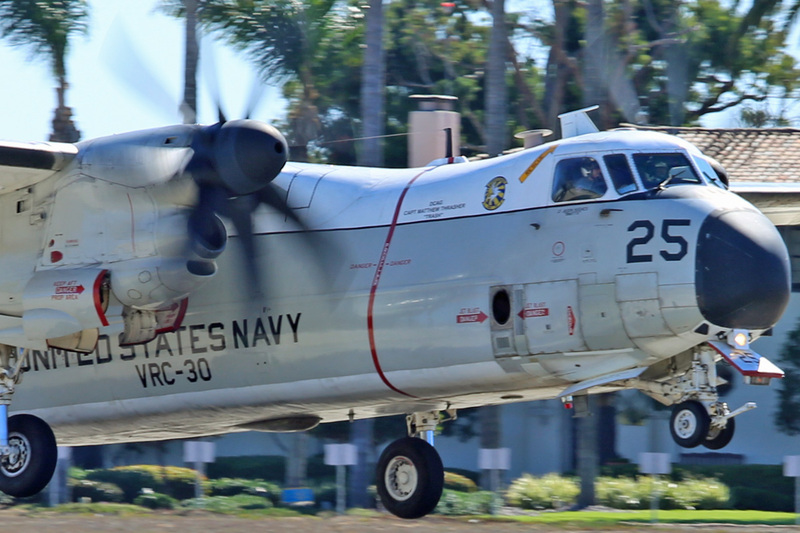 VR-21 was headquartered at NAS Barbers Point, Hawaii and detachments were established at North Island, NAS Alameda, California, and Naval Air Facility Atsugi, Japan. VR-21 operated the Navy’s first dedicated Carrier Onboard Delivery (COD) aircraft, the Grumman TBM-3R Avenger, and the newer Grumman C-1A Trader, in regular COD service to Pacific Fleet aircraft carriers. 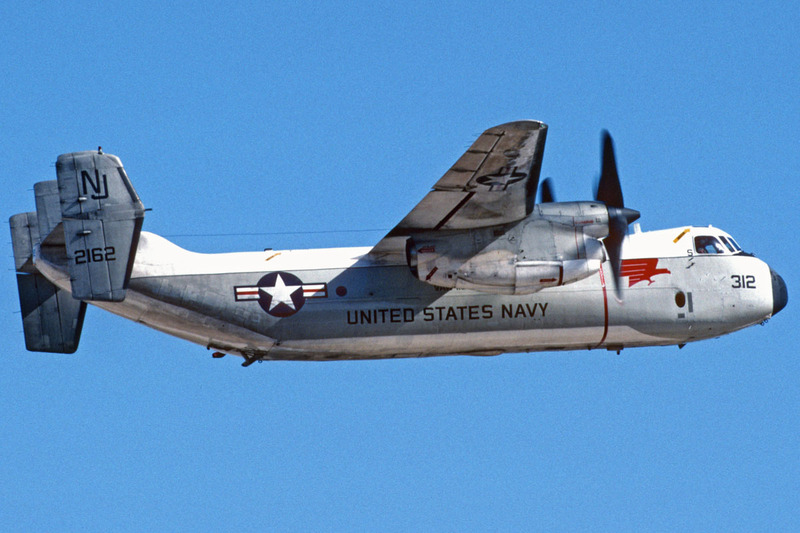 VR-21 also operated Convair C-131 Samaritan aircraft, among others, in support of west coast and Pacific Fleet shore transport missions. On 1 October 1966, VR-21’s California and Japan detachments were reorganized as Fleet Tactical Support Squadron Thirty (VR-30) in Alameda and Fleet Tactical Support Squadron Fifty (VRC-50) in Atsugi. This reorganization coincided with the fleet introduction of a new COD aircraft, Grumman’s C-2A Greyhound. 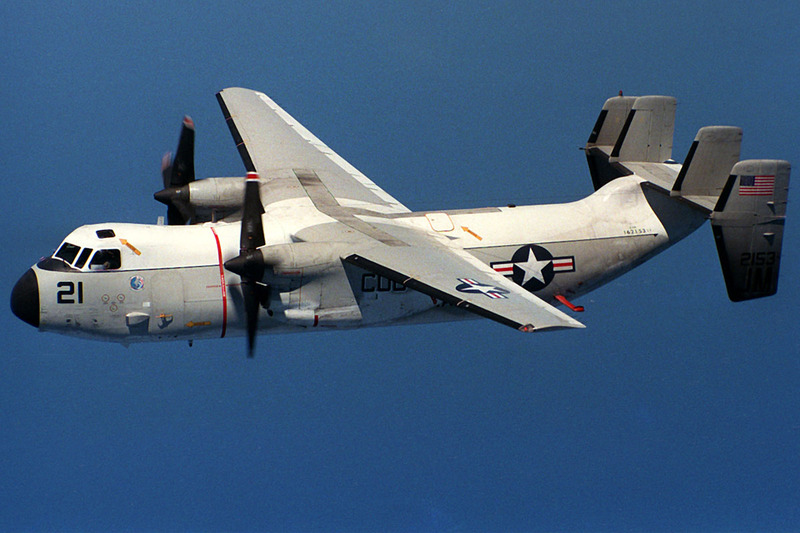 The Greyhound offered VR and VRC squadrons a drastically improved logistics capability over the C-1A Trader, enabling more than 8,500 pounds of cargo or up to 26 passengers to be carried to or from the ship at faster speeds, higher altitudes, and longer ranges than its predecessors. The ceremonial introduction of the Greyhound into fleet service took place on 4 October 1966 at Alameda, when bureau number 152786 was received by VR-30. This aircraft and two others were promptly deployed aboard USS Enterprise (CVN-65) in November 1966 and transferred to VRC-50 at their detachment site in NAS Cubi Point, Subic Bay, Philippines. Due to the relatively small number of new C-2A aircraft (only 17 were originally built), the Greyhounds were primarily dedicated to forward deployed operations in the Western Pacific (by VRC-50) and the Mediterranean (by Fleet Tactical Support Squadron Twenty Four, or VR-24). VR-30 continued to meet Pacific Fleet shore and COD transport requirements using the Samaritan and the Trader. The next few years were extremely busy for the “Foo Dogs” of VRC-50, who saw two homeport changes and the addition of two new airframes between 1966 and 1972. After establishing a permanent detachment at Cubi Point in 1968, the squadron moved its headquarters from Japan to North Island in 1971. After establishing a another permanent detachment site in Danang, Vietnam in December of 1971, the squadron changed its homeport again, this time moving headquarters to Cubi Point in July 1972. The Foo Dogs received the North American CT-39E Sabreliner in July 1967 and the Lockheed C-130F Hercules in June 1969, and employed both in the role of Western Pacific shore logistics and executive transport, while continuing to fly Traders and Greyhounds in performance of the COD mission. Meanwhile, the “Providers” of VR-30 continued to support west coast fleet operations and carrier deployments to the Western Pacific and Indian Oceans. From 1968 to 1973, VR-30 COD detachments operated aboard various carriers in support of recovery operations for Apollo missions X, XI, XII, and XVI. Both VR-30 and VRC-50 supported aircraft carriers operating at Yankee Station during the Vietnam War, operating C-1A and C-2A aircraft from Danang and Cubi Point. In 1971, VR-30 received the Saberliner, followed by its first McDonnell Douglas C-9B Skytrain II aircraft in May 1973, thereby greatly increasing the shore transport capabilities of the Providers. In 1976 VRC-50 was redesignated as Fleet Logistics Support Squadron Five Zero. On 1 October 1978, shortly after relocating from Alameda to its present-day home at NAS North Island, VR-30 was redesignated Fleet Logistics Support Squadron Three Zero (VRC-30). 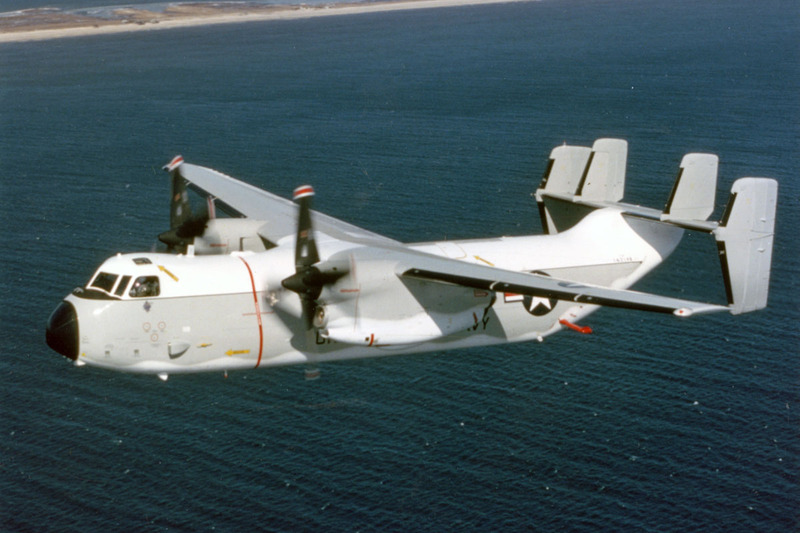 In 1980, VRC-30 received its first UC-12 Huron and was designated the Fleet Replacement Squadron for the Navy’s UC-12 community. Another aircraft variant was welcomed into VRC-50 in the early 1980’s, the Lockheed US-3B Viking, which was operated as a Foo Dog COD aircraft for more than a decade. 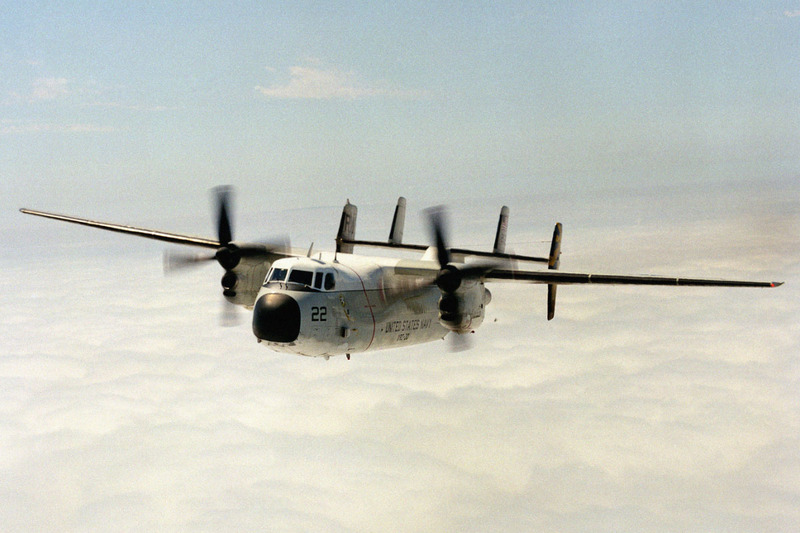 VRC-30 welcomed the newly reprocured C-2A in 1985, and finally retired the venerable C-1A the following year, after 28 years of service. 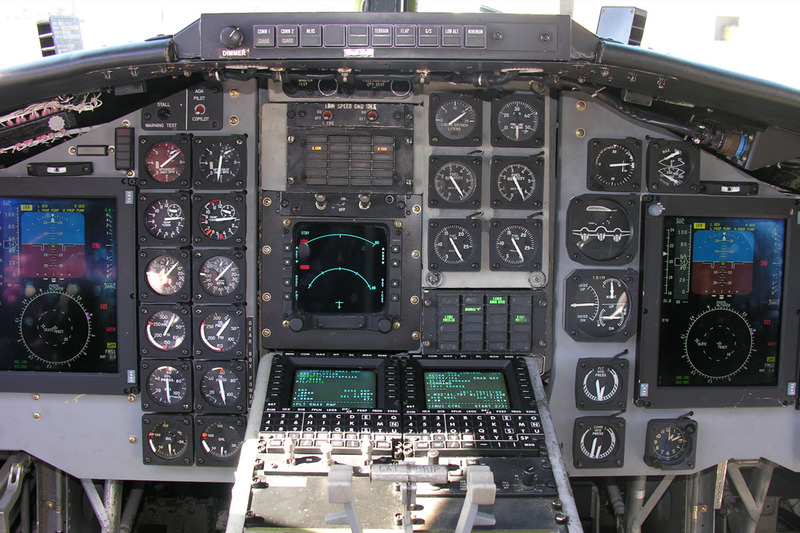 The Providers flew their last two Traders, bureau numbers 136786 and 146024, to Davis-Monthan Air Force Base in Tucson, Arizona and inducted them into the Aerospace Maintenance and Regeneration Center for permanent preservation on 5 June 1986. In 1992, following the eruption of Mount Pinatubo just north of Cubi Point and as part of the general withdrawal of United States Armed Forces from the Philippines, VRC-50 relocated to Andersen Air Force Base, Guam. In the summer of 1994, VRC-50’s aircraft began to be transferred to other units in preparation for disestablishment of the squadron. VRC-30 absorbed many former Foo Dog personnel and aircraft, and used three Greyhounds and approximately forty personnel to man and equip a brand new permanent detachment at Atsugi, Japan. Fleet Logistics Support Squadron Three Zero Detachment Five was officially established on 7 August 1994 under the charge of CDR Linda C. Shaffer-Vanaria; the detachment was placed under operational control of Carrier Air Wing Five (CVW-5) in support of the Independence Carrier Battle Group. Between 18 August and 18 September 1994, Detachment Five received C-2A aircraft bureau numbers 162141, 162147, and 162150 from VRC-50. On 30 September 1994, VRC-50 was decommissioned at Guam. On 1 December 1994, LCDR James A. Hubbard relieved CDR Shaffer-Vanaria during a “change of charge” ceremony at Atsugi, and became the first permanently assigned Detachment FIVE Officer in Charge. In 1998, USS Kitty Hawk (CV-63) replaced USS Independence (CV-62) as the flagship of Task Force Seventy (CTF-70). VRC-30 Det 5 continued to support CTF-70 with COD service to USS Kitty Hawk (CV-63), including October 2001 deployment to the Northern Arabian Sea in support of Operation Enduring Freedom, and January 2003 deployment to the Persian Gulf in support of Operation Iraqi Freedom. In the summer of 2008, Detachment Five “cross-decked” with the rest of CVW-5 onto the new flagship of CTF-70, USS George Washington (CVN-73). Today VRC-30 Detachment Five remains the world’s only permanently forward deployed COD detachment. 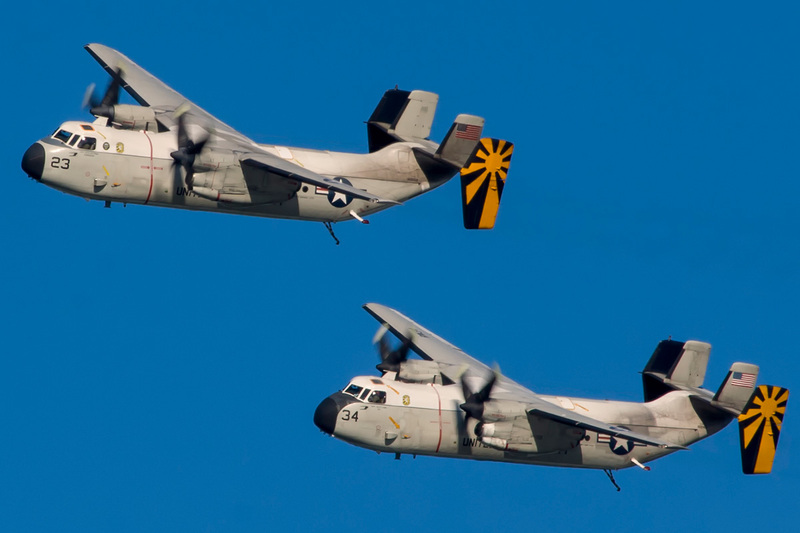 With their parent squadron headquartered in San Diego, the Providers of Detachment Five operate from their home station in Atsugi, Japan, whence they regularly deploy their two C-2A Greyhounds to shore bases throughout the Western Pacific, South Asian, Indian Ocean, and Middle Eastern theaters, providing incomparably reliable transport of high-priority cargo, U.S. Mail, duty passengers, and distinguished visitors to and from USS Ronald Reagan (CVN-76) in support of the entirety of Battle Force Seventh Fleet.